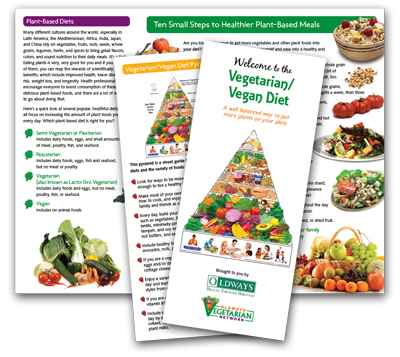 This brochure is the place to start, if you want to learn about vegetarian and vegan diets. Simple language and illustrations give a great overview. To purchase hard copies of the brochure, please visit our Oldways store at the link below. What Can You Do with Bulgur?